Dave Zajdzinski brings 14 + years of real estate experience to home buyers and sellers throughout Arizona. He has helped hundreds of families meet their real estate goals and is consistently ranked as one of the top 1% realtors in the Valley and top 3% in the country. As a Certified Distressed Property Expert, (CDPE) Dave understands short sale, foreclosure transactions as well as traditional home sales. Dave utilizes a team approach to his real estate business operating with full time buyers agents, administrative and support staff to ensure every client receives the full attention they deserve when selling or buying one of their largest if not the largest asset they will own. The Z TEAM is small enough to be intimate with each client yet large enough to ensure a smooth process with constant communication. 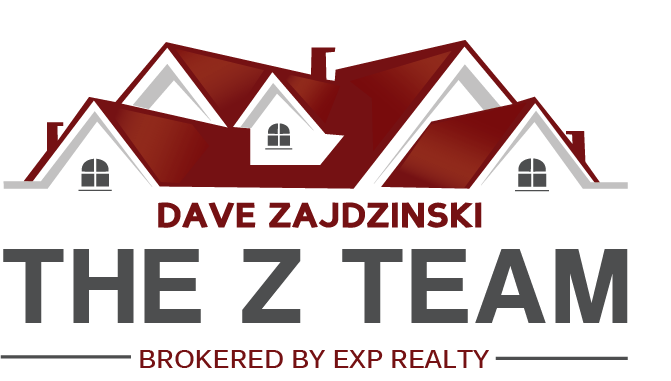 Dave has a passion to help people achieve the goals and dreams in their lives through wise real estate investing...let Dave Zajdzinski and The Z Team prove why they are a top real estate team in Arizona and why people time and again choose to work and refer The Z Team! Mike is the inside sales manager and a senior loan officer with the Certo Team at Fairway Independent Mortgage, consistently ranking in the top 1% of originators in the country. Mike has been in the mortgage industry for 17+ years and has a vast amount of experience in management & underwriting, as well as origination. Mike is a graduate of Ball State University and holds a Bachelor’s degree in business management and marketing. He lives in Ahwatukee with his wife, Bridget, and 6 year old son, Payden. My background in the home building industry makes me an excellent resource for information about your home throughout the transaction . My first priority to my clients is to listen to their specific wants and needs in order to help them through such an important time. This allows me to provide you with all of the information needed to successfully move through the challenging process of buying a home with the least possible stress and anxiety that so many others experience. A passion for Real Estate and a desire to know people defines Linda Byrd as a Realtor! She’s a midwestern farm gal from South Dakota, where the “helping each other” concept was prevalent in the rural community where she grew up and Linda cherishes those simple things as it defines her style as a salesperson when working with people. Helping others achieve their dreams and desires for a home or investment has led her professional real estate career funded by this innate homespun desire. Her goal is to provide a real estate experience so memorable whether buying or selling a home that it makes people want to come back again or refer her to family and friends! Linda pursues a tailored commitment to each client, understanding the individual goals of each person she works with while providing optimal service with genuine professionalism. She endeavors to create a partnership that leads to a successful, happy transaction! Combining her 13 + years of homeowner’s association management, mortgage and multi-housing knowledge and expertise, plus 18 + years of industrial sales/project management, Linda understands the ins and outs of the sale and she is dedicated to client service, devoting her time and resources to capturing the joy of the buying or selling experience with her clients. These commitments take her to the leading edge of the real estate profession!